Fruit and Floral Silk Liberty of London Blouse. 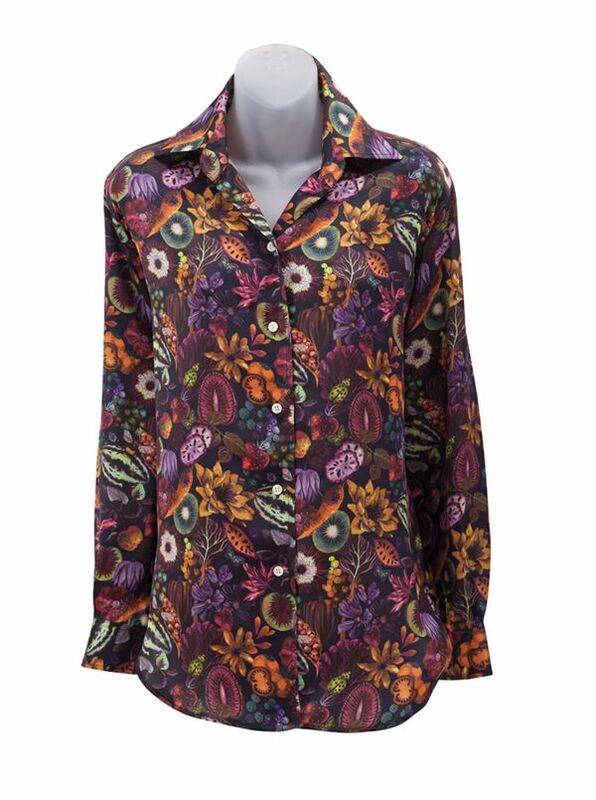 For Women Liberty of London Silk Blouses in beautiful prints realized in luxurious silk satin. Tailored in America, with soft point collar, long sleeves with button cuffs.